Completely free from soy and dairy, this all-natural blend is packed with essential amino acids and over 22g protein per serving for people training on a plant-based diet. With pea protein isolate, brown rice protein, and hemp protein, our Vegan blend is a high-protein shake created to help achieve your fitness goals. Created from only plant-based sources, it’s a convenient way to get quality protein into your diet, helping you grow and maintain important muscle1 — whether looking to gain size or tone-up. It’s a great source of BCAAs, too. Your body can’t create these essential amino acids, so must be supplemented. They naturally occur in protein which helps to build and repair new muscle,1 so are a must-have for your training schedule. We’ve also added DigeZyme®: a natural enzyme complex that works as a digestion aid, with more protease that any other on the market. Just add 1 large scoop (25g) to your favourite smoothie or fruit juice, or try our delicious chocolate smooth with water or milk, 30-60 minutes’ post-workout — or any time for a protein boost. To make sure you’re getting the important protein you need each day, try our chocolatey Protein Cookie. With over 13g protein, it’ll help keep your nutritionals topped up throughout the day, and makes for the perfect treat alternative. 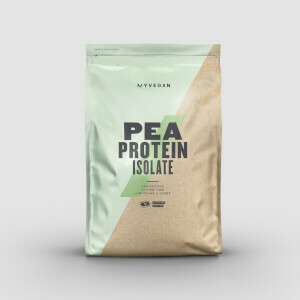 Pea Protein Isolate, Brown Rice Protein,Inulin powder (instantized), Digenzyme (Maltodextrin, Alpha-Amylase, Lactase, Neutral Protease,Lipase), Bacillus coagulans GBI-30 6086 , Xantham Gum, Guar Gum, Natural Flavoring (Cocoa Powder (processed w/Alkali), Natural Flavor, Salt, Stevia Leaf Extract). I can't be more satisfied with this product! This is a brilliant addition to my diet and vegan lifestyle! It's chocolate. It's vegan. And it was on sale. So I bought five. Very happy customer. Mix it in with fruit, nuts, and almond milk for a healthy breakfast. My first purchase of Vegan Vanilla Stevia blend I would say it was more salted caramel than vanilla and extremely chalky. Since the rebrand, I gave it another try and the vanilla flavor and mixability have greatly improved. The chalkiness is almost gone (somewhat expected from vegan protein). Went for the 5.5lb bags both times and they last months. Worth it. The gains are solid but the powder tastes like sawdust. Back to eating meat. This is probably one of the best proteins I’ve had . I’m slowly switching over to a vegan diet as I tested it out for a week and noticed a very big change in my skin health and just overall how I feel and perform. Taste in my opinion is bland . And for me I am okay with that . I will say this though compared to whey protein I can actually drink this straight without a really bad after taste and without gagging. If you want it to mix well I would either mix one scoop with 300g of water or 350-400g of almond milk. Yes it is a little chalky specially if you mix with almond milk. The more liquid you add though the less chalky it will be . If any of you suffer from acne or anything of that nature I would switch over to this for a month and see how your skin looks after ! After coming across more and more research about the negative effects of animal protein on overall health, I wanted to give this vegan protein powder a try. While you won't confuse this stuff for vanilla ice cream, it is definitely drinkable. I was a little hesitant with some of the other reviews but had no reason to worry (I like it 100x better than, for example, plain hemp protein). I mix with water and put in green smoothies and it tastes just fine. I plan to purchase again. Thought I’d give this product a try to get away from whey, but upon trying it I can’t finish. The product is very fine and chalky, to the point where you’ll be breathing it every time you open the bag. The taste is predominantly stevia, but maybe some people like that. Might mix well if you only do one scoop or if you don’t add anything to your shakes, but if you’re like me and add some oats and peanutbutter, you’re in for a very thick shake. If you like to make shakes in advance and drink them in the morning, you’ll wake up to pudding.